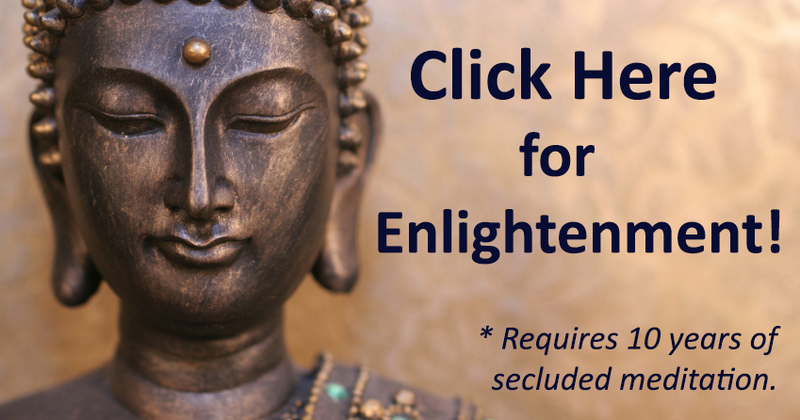 The Noble Eightfold Path of Buddhism includes concepts like “Right Speech,” “Right Intention” and “Right Livelihood” to guide Buddhist practitioners toward ethical conduct, as defined within the Buddhist traditions. While I tend to shy away from preaching about ethics, a similar group of concepts can be used to guide marketing practitioners toward effective inbound marketing campaigns. If there is one thing marketers are guilty of, it’s annoying people who are online trying to do something other than buying the products or services we’re marketing “at” them. 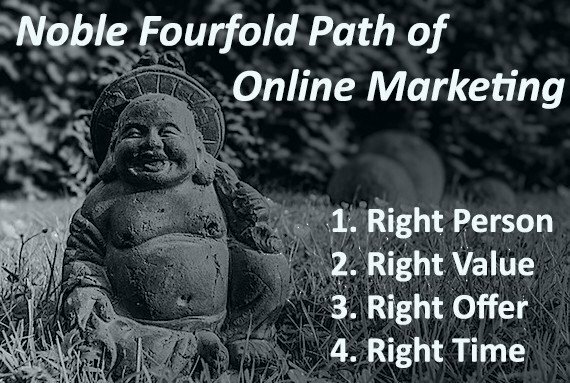 Following the Noble Fourfold Path means providing value to customers in different, highly-customized ways throughout their journey. Even reputable online brands who would never be considered “spammers” often send out hundreds of generic emails to each contact on their list every year, sometimes as much as a dozen in a single week around Thanksgiving. It isn’t that this is unethical, per se. The contact signed up to be on the list, and this is still “permission-based marketing” by definition. The problem with the way most of us have been doing online marketing isn’t about ethics. It’s about effectiveness. Blasting out the same 20 Percent Off coupon to dozens of different types of people with dramatically different pain points and goals isn’t an effective way to do email marketing. Writing content without having an audience segment in mind isn’t the most effective way to do content marketing. Relying on a few category pages and a product page to move someone from first-time visitor to customer is not an effective search marketing strategy. Each of the four paths to effective online marketing are discussed in detail below. Speaking to one segment of your potential audience at a time ensures the rest of your marketing chakras are aligned. Knowing your audience is the foundation of online marketing, and the best way to get started is by developing audience personas. An audience persona is a profile of an imaginary person used to represent the relevant characteristics of a particular audience segment. An audience segment is the aggregate of many existing and potential customers who have certain characteristics in common (e.g. age, gender, interest, occupation…). Most business owners and marketers are convinced that they know who their audience is, even if they have never developed personas for key segments. This may be true in a broad sense, but until personas have been created, it is often difficult to form a strategy to target each type of customer. Audience personas help us answer questions like: Where do they go for information online? How deeply do they research? What does their buying cycle look like? What are their pain points and what would mean a successful “buyer’s journey” for them? What features are they most concerned with? Who influences them, and where can those influencers be found online? If Tom hadn’t done his persona research, he would never have known “Mark the Monk” was into retro-technology and subscribed to @RetroThing on Twitter (oh, and also @DalaiLama). Personas are essential for ensuring we are marketing to the Right Person. This ensures we aren’t interrupting and spamming potential customers with non-essential and irrelevant content. It also keeps marketing costs down, increases conversion rates and improves your return on investment (ROI). What are you offering them and why should they care? 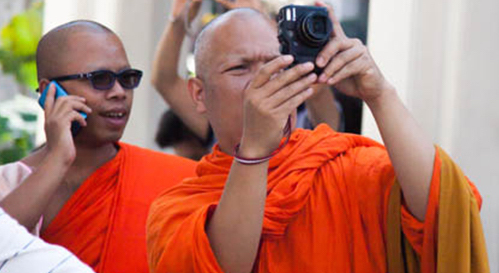 Gautama Buddha and other holy persons can reach very wide audiences because their value proposition – “Do this and be happy” – appeals to everyone. “This will make you happy” is essentially what every value statement is at its core. UnFortunately, most of us can’t get away with claiming “happiness” as our unique value proposition (UVP). Audience personas allow us to find out what each segment is looking to achieve with regard to our industry. How can we make them happy? Lower prices? Higher quality? Perceived luxury? Solving one of their major problems? The value being offered to each persona should also change as each individual makes their way through the buying process. Let’s say we know “Seeker Steve” (pictured above on laptop) is looking for happiness. Should we ask him to shave his dreadlocks, renounce all attachments to Apple products and move to China’s Zhongnan mountain range to devote his life to reaching enlightenment? Probably not. 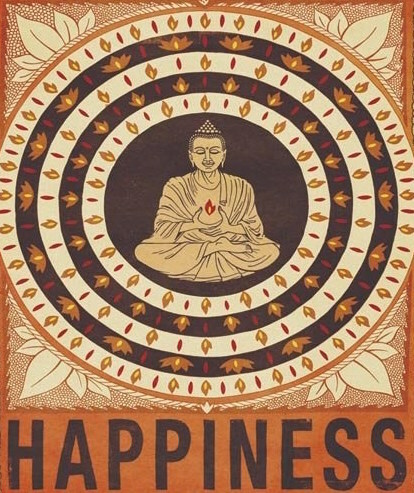 Achieving happiness, like anything else, is best done one step at a time. Find out where your seeker is on their journey, and offer to help with their next step. #1 – Steve becomes aware of his suffering and decides to become happy. #2 – He researches happiness online, downloading the Newbie’s Guide to Happiness eBook. This free download required only his name and email address. Now, Steve is auto-tagged as a “newbie seeker” in Gautama Buddha’s marketing automation system because of his content choice. 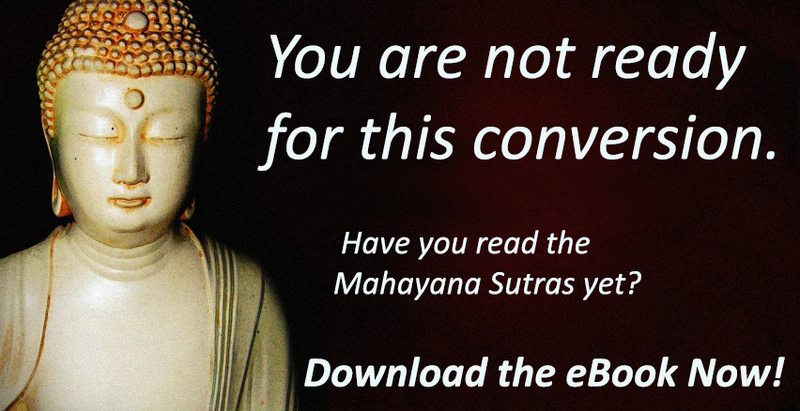 #3 – Two weeks later, he receives an email titled “The Buddhist Path to Happiness: Infographic” with a link to download another free content piece, this time moving him closer to choosing “Buddhism” over the other potential paths. 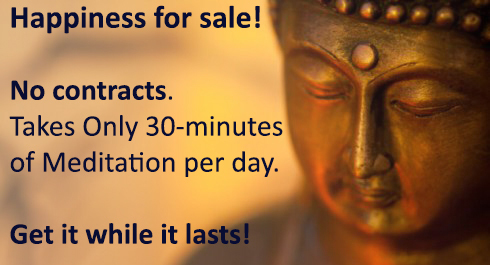 #4 – As Seeker Steve continues to progress at his own pace down Buddha’s conversion funnel, the messaging and offers adjust to meet him where he is. How and where can they get it? What happens next? If the “right value” is getting more product for less money, a B.O.G.O offer like the one above may be compelling. If, on the other hand, the right value is that this free eBook will start saving you money right away, the CTA should give a sense of urgency. “Here, have some peanuts.” This kid knows what his audience wants. Other people might respond to scarcity, perceived luxury and other factors. Potential customers should see the most appropriate offers and calls-to-action associated with their segment as defined in your audience personas. The point is that knowing “who” they are, “what” they want and what matters to them allows you to craft a highly-targeted call-to-action that encourages potential customers to move one more step down the purchasing funnel from wherever they are in their buying cycle. When are they ready for the next conversion? Even future Bodhisattvas have to start somewhere. Meet people wherever they are in their journey. At what point in the buyer’s journey would be the right time to encourage a visitor to make the ultimate conversion? Hint: They probably aren’t first-time visitors. Most businesses attempt to take every visitor from their first encounter with the website to the final conversion in a single visit. Think about the average eCommerce site where you have the option to navigate the categories, read product pages and buy things. This experience doesn’t appeal to those who have just become aware of a problem, and are in the early stages of researching potential solutions. It also does not appeal to someone who is trying to make a final decision between two or more potential solutions. Now, take the average B2B lead gen. website: there are a handful of services/features pages, possibly a comparison chart, and a big “Free Trial” or “Free Consultation” call-to-action on every page for every visitor. What about the people who don’t know enough about the topic to even understand why your features are important? What about those who aren’t quite ready to schedule that call? 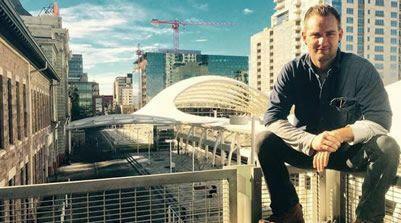 Most businesses simply let these visitors leave without a trace. The right content offered to first-time visitors at this early stage in their buyer’s journey could form the basis of a longer-term relationship in which the business could nurture them toward becoming a customer over time. Marketers are now able to deliver highly-customized experiences that remain consistent for each individual across a variety of devices and touch-points. This lowers costs, improves conversions and increases ROI. It also gives potential customers a positive user experience, and ensures our noble marketing strategies don’t interrupt the wrong person at the wrong time – otherwise known as spam. 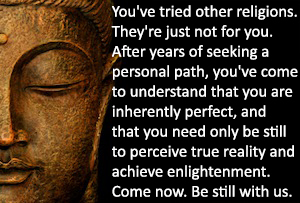 This post was inspired by all of the fake quotes attributed to Buddha via social media posts these days. One thing is certain, I won’t be heading to Myanmar any time soon – which is fine. I liked them better when they were Burma anyway. Want to get the right message out at the right time? Download our Inbound for eCommerce checklist and get started today!